Rising Afrobeats artist - $ound Knockdown who is also known as $.K.D. has released the 3rd single off his anticipated Afrobeats album. With videos for his other two singles "Ekungbadu" and "I like Your Style" underway, the artist who is signed to Safari Sound Records is planning on releasing more videos and songs for his fans to enjoy. 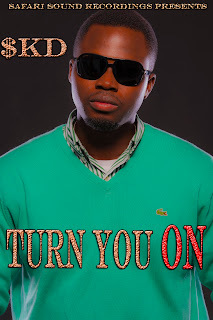 Until then, listen to "Turn You On" off his Afrobeat album Celebration.